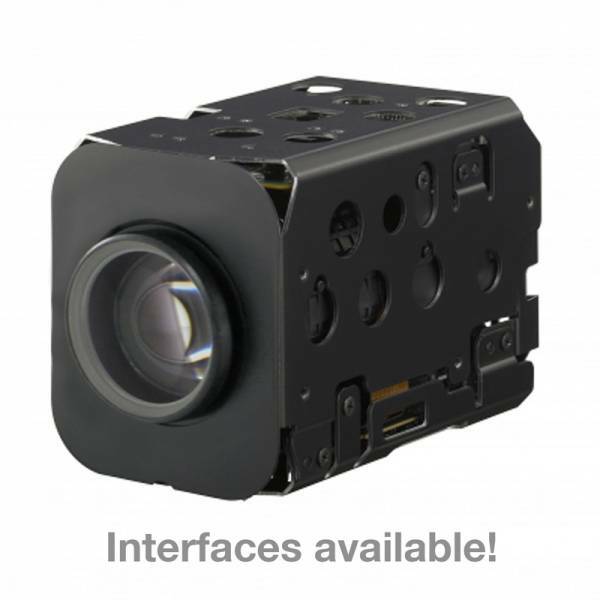 Informations sur le produit "FCB-ER8550"
Featuring a 1/2.5 type Exmor R CMOS sensor with QFHD (3,840 x 2,160) for superb clarity and detail, the FCB-ER8550 provides image capture of up to 8.51 megapixel for situational awareness, surveillance, video sharing and content development in full 4K resolution. Each camera block supports electronic image stabilization, an optional true Day/Night feature to improve night performance, up to 8 video output formats from HD to 4K and an industry standard HDMI 1.4b interface. The FCB-ER8550 features Sony’s unique Super Resolution Zoom (SRZ) technology, which enables both camera blocks to deliver an equivalent of 30x optical zoom at full 4K resolution.